The last few days sure have been good for DS-owning RPG fans. First, the latest issue of Nintendo Power revealed that Atlus will be releasing Etrian Odyssey III (subtitle: The Drowned City) in North America sometime this year. All that's left is for someone to announce the Western release of Sega's similarly retro RPG, 7th Dragon. FF doesn't mean much to me, but a new Etrian Odyssey is the bomb diggity. Thanks for keeping us up to date with this stuff. 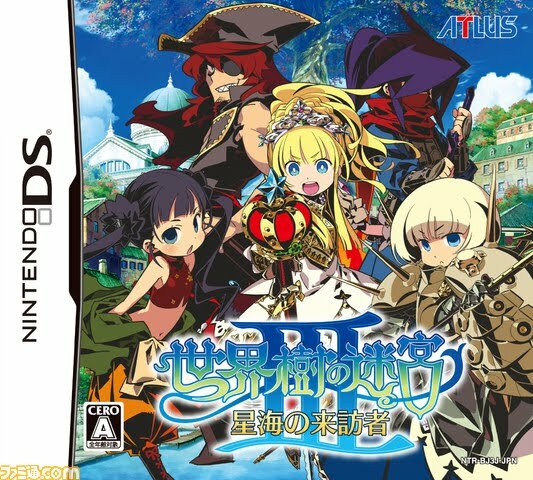 Even though I have no interest in the DS and I don't stay abreast of its new releases, I knew I'd heard about that 7th Dragon game at some point. Turns out it was produced by Rieko Kodama, the Phantasy Star creator. And it looks like Yuzo Koshiro did the music. I bet it's a hell of a game--it sure does look interesting. You know what? I didn't know it was made by the same person who produced Phantasy Star. Even better! Also, I love the character designs -- which were, I believe, designed by the same person who came up with the design in EO.